The movie Full Metal Jacket is a favorite of mine. It follows a young Marine known as ‘Joker’ (played by Matthew Modine) from boot camp at Paris Island to Vietnam. As a Marine journalist he’s stuck “in the rear with the gear,” but is eventually assigned to accompany a Marine infantry platoon into the City of Hue for what is sure to be a brutal and bloody fight. 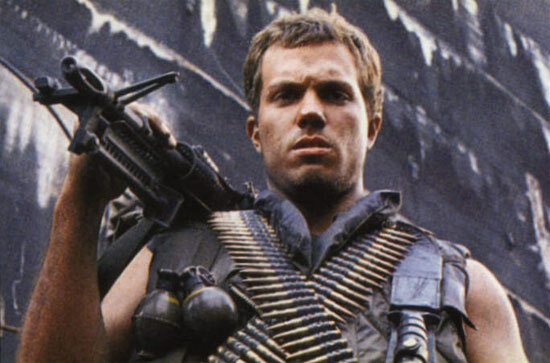 On the eve of the battle he meets another Marine who goes by the name ‘Animal Mother’ (played by Adam Baldwin). Animal Mother is a large, tough, combat-hardened Marine who perceives Joker as soft. He is concerned Joker’s presence with the platoon may be more of a liability than an asset. Sure he’s a Marine, but is Joker a good Marine, a real Marine? Animal Mother tests Joker with a series of intimidating questions and insults. Joker responds with appropriate grit until Animal Mother asks, “You talk the talk, but can you walk the walk?”, putting Joker on notice that he’s passed the first phase, but the real test will be in how he responds when combat action starts. While we make no pretense of being combat Marines, we believe Animal Mother’s methods – appropriately modified – might be helpful in selecting a financial advisor. Finding a good one, a real one, can be a challenge. There’s an awful lot of talking in the process of selecting an advisor. The actual ‘walking’ won’t start until after you’ve hired one. Therefore, you need to find an advisor who can at least talk the talk of a real financial advisor. There are some important clues to look for to help you determine if your prospective advisor is a real advisor. Those clues can be uncovered by asking some tough questions. Whether or not you go full Animal Mother on your prospective advisor is up to you, but here’s why it’s important that you dig deep for your answers. Sean and I talk about this dynamic just about every day. Reputations are lots of things, but ‘accidental’ isn’t one of them. The low level of public trust in our industry is earned…and we tend to share that distrust. Looking back, our first few meetings were somewhat comical. He and I mentally probing and observing each other, trying to figure out what the other one’s angle might be; reluctant to believe we might actually be having lunch with ‘one of the good guys.’ As soon as trust was established, our partnership was all but inevitable. But I digress. The industry’s reputation is the industry’s problem. Yours–if you want a financial advisor–is finding one who’s a good fit for you. One you can trust. We believe trust is the single most important factor in your selection. It’s not the only factor, but if you don’t trust an advisor to do what’s in your best interest, all the other factors are moot. Your gut will help you determine whether there can be trust, regardless of all the things you can see, touch, measure, etc. You either trust someone or you don’t. And if you don’t, it doesn’t matter why. It’s time to keep looking. Don’t be apologetic about it either. At a bare minimum, the advice and help you get managing your finances shouldn’t cost you sleep. Fortunately, there are a few things you can ask in the interview process to determine whether an advisor can talk the talk, and so perhaps will walk the walk. How your prospective advisors answer these questions will help inform your gut feeling about trust. Is Your Advisor Likely to Walk the Walk? Here are a few questions you can ask any advisor to help figure that out. “How are you compensated?” It’s a fairly straightforward question, and it deserves a straightforward answer. Straightforward may or may not be simple – more on that in a moment – but an advisor who ducks the question ought to set off alarms. Fundamentally, there are two ways for your advisor to be paid–fees (paid by you) and commissions (paid for the sale of financial products). Each arrangement has its own advantages and disadvantages, and advisors choose one or the other (or both) for a variety of reasons. We believe strongly the advisor’s loyalty will tend to follow the source of his/her income. The easiest way to be sure your advisor is only working for you is to be the only one who is paying them. “What conflicts of interest might arise if we work together?” Be wary of an advisor who tells you they do not have any conflicts of interest in serving you. Fee-based (fee and commission) and fee-only advisors may tell you the fee arrangement removes any conflict of interest. We couldn’t disagree more. Claims that “we’re conflict-free because we’re fee only” can sometimes be more misleading – and substantially more costly – than a candidly disclosed commission arrangement. We believe fee-only compensation reduces conflicts of interest, but does not remove them entirely. An advisor should be willing to discuss this with you, not hide behind their fee structure. Again, insist on an explanation in transparent dollars and cents. “Talk to me about your experience and qualifications.” Experience matters. So do training and certifications. Does your prospective advisor have recognized credentials to demonstrate their level of professionalism? How much client-facing experience does the advisor have? How broad an exposure to the industry will he/she bring to bear on your behalf, and how? What’s an example of a mistake he/she has made that will make him/her a better advisor for you? What mistakes can an advisor help you avoid? Screening your prospective financial advisors with these three questions will help you discover who can at least talk the talk. You don’t necessarily have to get up in their face Animal Mother style, but if the answers you receive seem evasive or unspecific, run to the nearest exit. 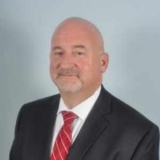 An advisor who is unwilling to spend time answering your questions about their service and fee models, potential conflicts of interest, or their background is not worthy of your trust. If they can’t talk the talk, they will never walk the walk. Press the attack with these questions, and don’t be shy about it. You deserve a real financial advisor.